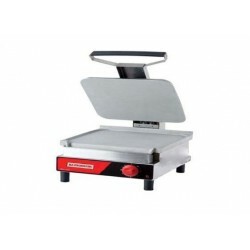 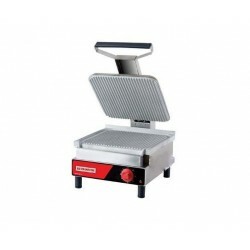 Electric Sandwich Grills There are 6 products. 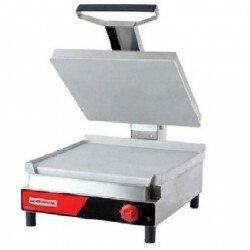 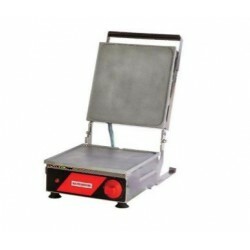 110 VOLTS, 1550 WATTS, 14.1 AMPS, 60Hz, 0.8 KW/h.220 VOLTS, 2500 WATTS, 11.4 AMPS, 60Hz, 1.3 KW/h.AUTOMATIC TEMPERATURE CONTROLDIMENSIONS (WxDxH): 14.2”x19.3”x11.9”WORKING SPACE (WxD): 13.7”x12.7”NET WEIGHT: 28 LBS.GROSS WEIGHT: 32 LBS. 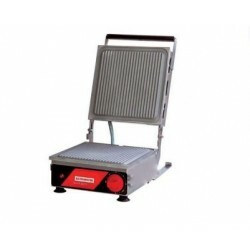 110 VOLTS,1550 WATTS, 14.1 AMPS, 60Hz, 0.8 KW/h.AUTOMATIC TEMPERATURE CONTROLDIMENSIONS (WxDxH): 14.2”x19.3”x11.9”WORKING SPACE (WxD): 13.7”x12.7”NET WEIGHT: 33 LBS.GROSS WEIGHT: 36 LBS.